Here is the galaxy NGC 7541, magnitude 12.6, and its smaller companion NGC 7537 as it appeared last night. 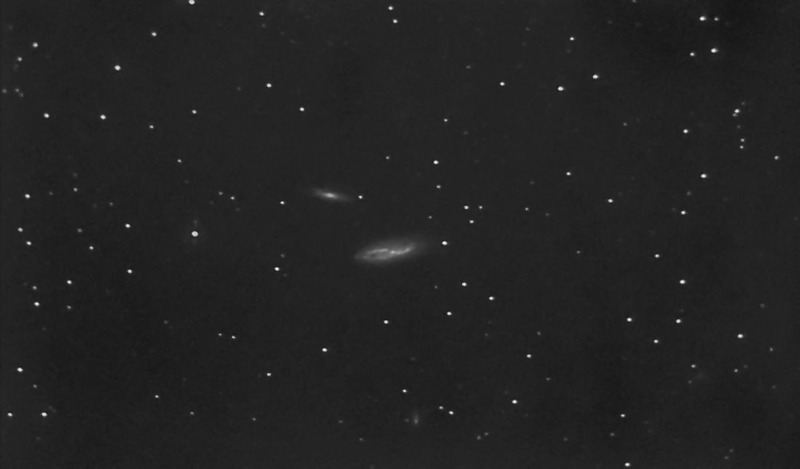 It is a 48 minute exposure at f/5, 750mm focal length and sampled with 9 micron pixels. This galaxy and its companion are 140 million light years from Earth and is in the constellation Pisces. NGC 7541 had one of its stars go supernova in 1998. The supernova was almost as bright as all of the billions of other stars combined in the galaxy. "The red shift of both galaxies is about the same, and gives a distance estimate for the pair of 140 million light years (Hubble Constant of 62 Km/sec per Mpc) and a diameter of 94,000 light years for NGC 7537 and 145,000 light years for NGC 7541. Although both galaxies are spirals, there is uncertainty about their exact classification. NGC 7541 has a strong asymmetry along the two semi-major axes, thin asymmetric arms, and a compact bulge. Astronomers have reported a strong radio source in the spiral arm that contains the supernova in the pictures above. 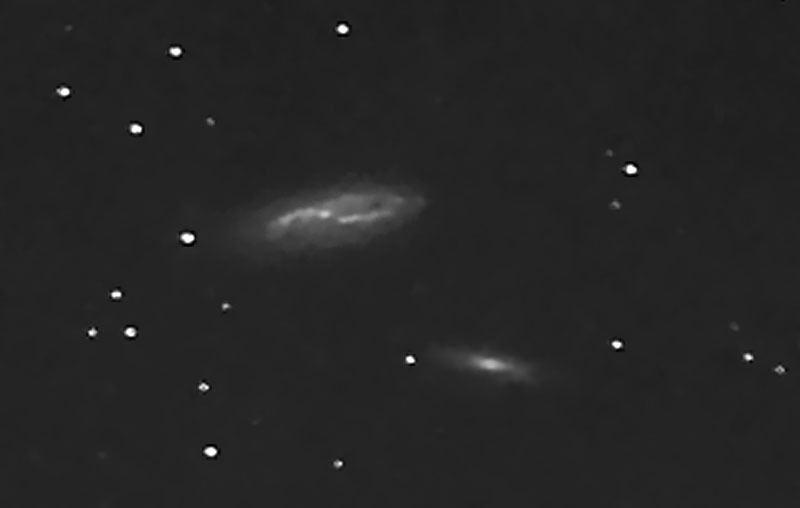 The Kopernik image also has two much more distant anonymous background galaxies. Supernova 1998dh is a type Ia discovered on July 20th, 1998 before it reached maximum light. A month later the Kopernik image catches it at about 14th magnitude." 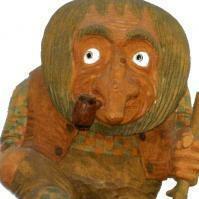 A long long LONG time ago. Well It could just be possible that the mind's consciousness creates space after all look at the similarity between empty space and what is between human's ears. I subscribe to the hypothesis that any information and information processing system not just human minds creates consciousness and that it is entangled with space-time. It seems to me that information and information processing is at the foundation of consciousnesses. This leads to the hypothesis that any computing machine can potentially be consciousness, human brain or not. It is well apparent by now that information storage is substrate independent. Information storage was once limited to being housed in DNA. Eventually along came books and other storage devices like disk drives, still not as information dense as DNA but improving rapidly in capacity. Information accumulation in addition to that stored in DNA began to be augmented by memory with the advent of ganglia and later brains. It seems all to obvious to me that memory and information processing working together in a brain is at the foundation of consciousness. It is also well apparent that information and information processing is substrate independent, not just done in brains but also now done with CPUs. Since consciousness resides in a brain that stores memory and processes information, consciousness is a natural property of information and information processing, just as inertia is a natural property of mass. It is apparent by now that consciousness is substrate independent since it's components of information and information processing are easily housed in disk drives and CPUs not just in brains. By the late 2020s information processing housed externally to DNA substrate brains will approach human capability. Also note that consciousness will be able to be transferred to from one "platform" to another since it is substrate independent yielding mobile consciousness tele-presense that will quickly evolve into tele-existence. Escaping the surly bond of the flesh will allow the new mobile unit entity to rather quickly explore the stars. I would guess that information can navigate a worm hole w/o being disrupted as it would be for the mass of the flesh and information could be encoded on existing structures on the other side of the worm hole far far away. There are no doubts that natural clocks are already everywhere, like solar systems and pulsars, that can be at the foundation of the structures necessary for the remote encoding of information and information processing. OK, this is all well and good but any good hypothesis must have an avenue to be tested so it can be verified or discarded. The Von Neumann–Wigner interpretation, also described as "consciousness causes collapse of the wave function, is an interpretation of quantum mechanics in which consciousness is postulated to be necessary for the completion of the process of quantum measurement. If this interpretation is true then an observation made by an AI entity can be proven to be conscious if it causes a collapse of the wave function upon making a quantum observation. Your intelligent observations of the material are fascinating. My belief is that the consciousness you use to make these fascinating insights does not emanate from your brain. Rather, your brain is the major organ in the human body that allows the reception of the consciousness that allows these fascinating observations. In the same manner that the television itself does not create the outstanding movie your consciousness observes( Dr. Strangelove, Tombstone,etc...), the brain is merely the instrument (television) that receives the consciousness. This is totally consistent with the non-locality encountered by Quantum physics that Sir Albert understandably had problems accepting (spooky things at a distance). Consciousness is not a substrate of space-time but it’s non-local creator.